We are in the thick of summer here, and this cooler whipped with delicious mango flavours is the perfect way to beat the heat. 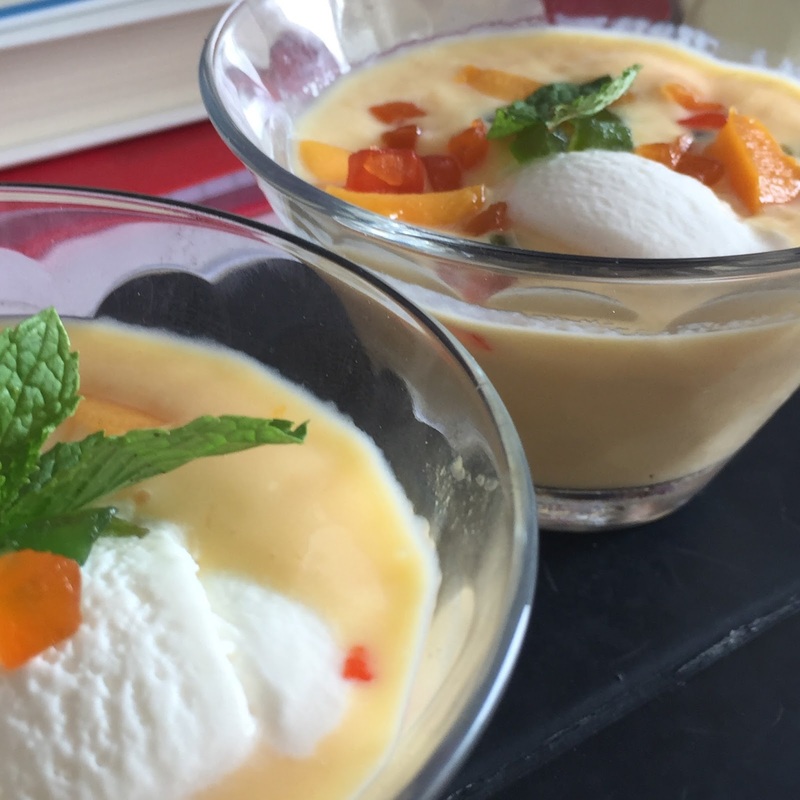 Apparently having its origins from Pune (and therefore named presumptuously after the great Maratha warrior Bajirao's wife Mastani), this is a super yummy dessert for those humid days. Very simple to make and tastes best with Alphonso (Ratnagiri) mangoes, this is a party pleaser for sure. Lets see how to make and assemble this super cool and delicious cooler. 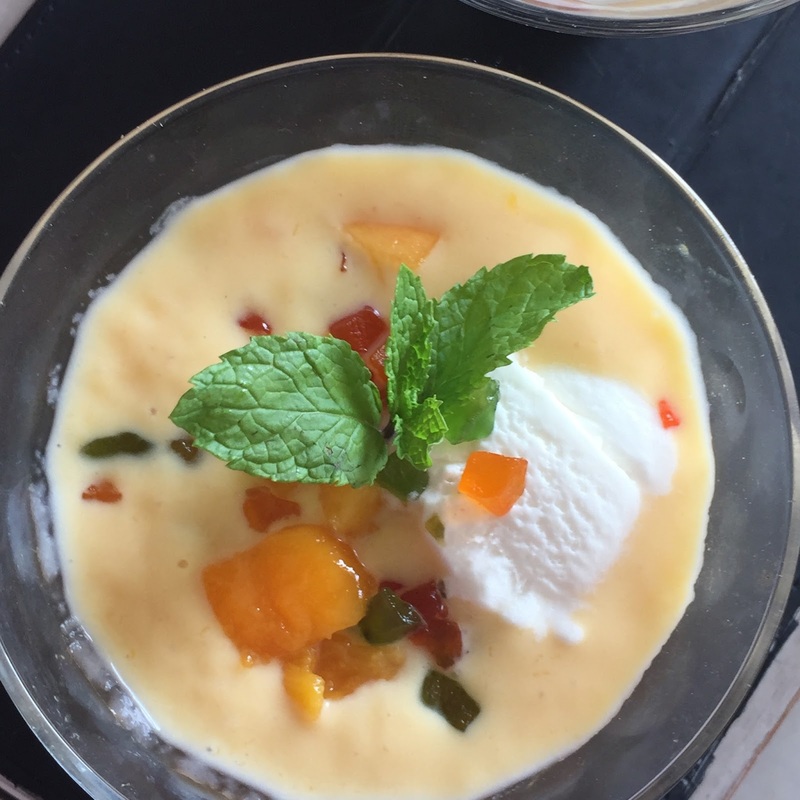 Blend the mango chunks with the chilled milk (leaving aside 3 tsp for garnish) + sugar (if using). Line two chilled serving bowls / glasses with the rest of the mango pieces , top with the mango milkshake (from above step). Add dry fruits, garnish as required. Top with ice cream and more candied fruit / nuts as required. My favorite. Love this creamy mango drink !!! Would love to have it any time, Yum!!! Ah ! You have reminded me of this lovely Mastani . It has been on my mind since long , but this year I will definitely make . Such a pretty looking Mastani , love those tutti fruitys on top . oh yes, it is definitely a party pleasure, looks awesome kalyani! perfect to make them now as we are getting some good mangoes now!! Right for the season. Pune visit will be incomplete without this.Beautifully presented!! I want to try this like right now Kalyani. Looks so creamy and sooo delicious. I am definitely going to make it this summer. I think my family will love this. 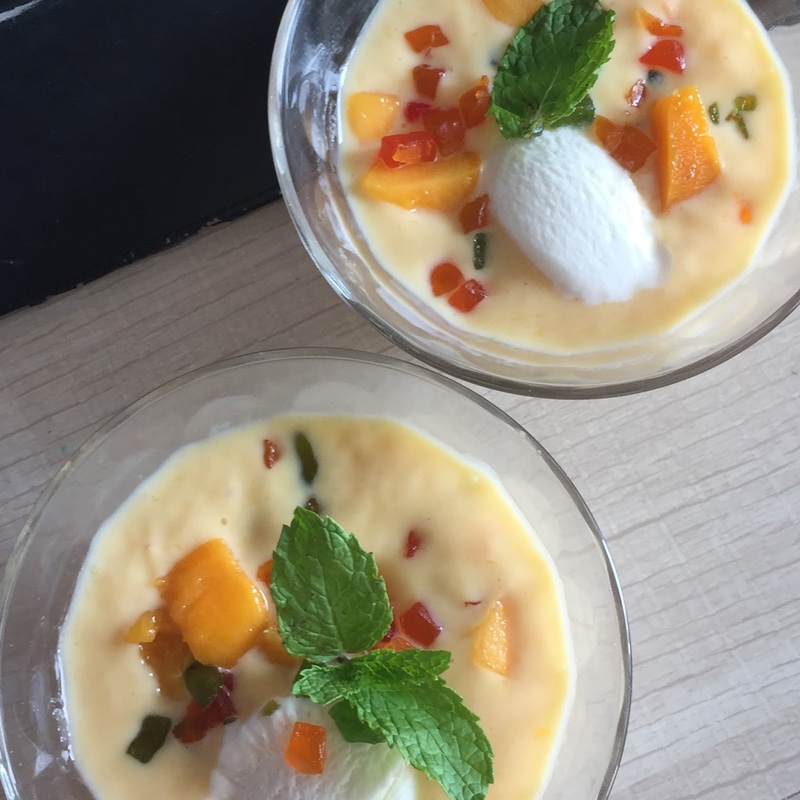 I have been wanting to make this forever!..maybe this season I will finally make it..your bowls look so inviting..
Wow, a tempting mango dessert. Whenever I see this on a fellow blogger's blog I make a mental note that I must make it, but soon forget about it. I should make it before the mango season disappears. I made Mango mastani some time back after getting a detailed instruction from my aunt who live in Pune. I am yet to taste these in Pune and so looking forward to making a trip down. Looks so tempting Kalyani! Wow! I could definitely use a glass of this mastani right now! i have been wanting to make this for like forever and still not made it!! With the mango in season now, its high time I prepare this. 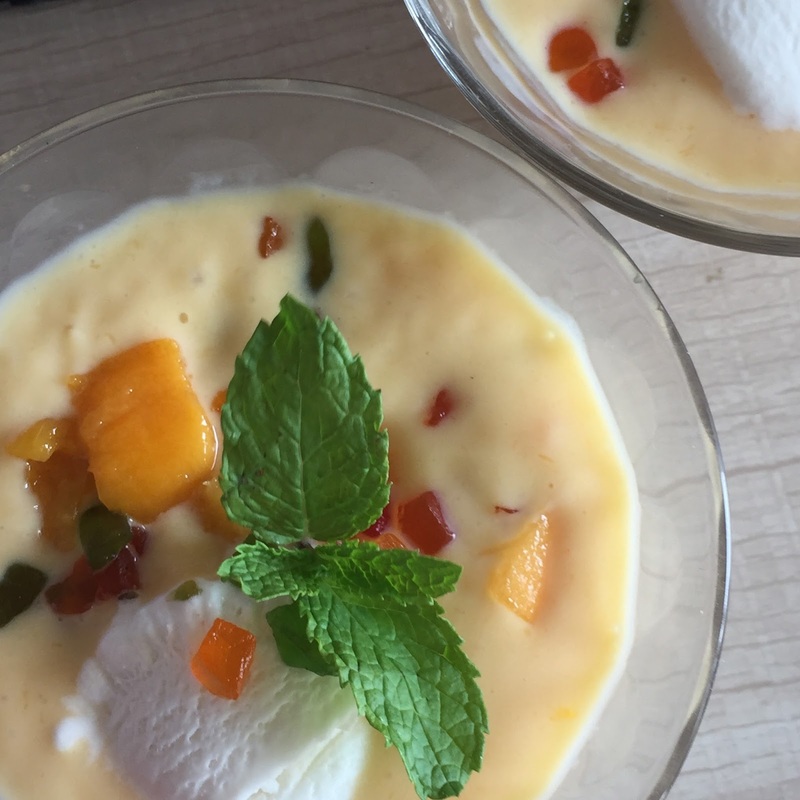 The summer just started here and I wish I could have a bowl of mango mastsni to beat the heat. The mastani looks so creamy and delicious.I am looking forward to real hot days to try it. perfect summer cooler recipe for mango season. Awesome choice.